Our team is committed to understanding your needs, delivering technically superior products and services, and demonstrating increasing value in a way that ensures speed of adoption and sustainability. We’ve delivered unparalleled reliability solutions for hundreds of clients, including 20 Fortune 500 companies. Our extensive experience gives us the perspective to see possibilities that will help your business grow. Helping companies get accurate inventory of their assets to understand potential risks and assess asset health. We focus on maximizing productivity and enhancing reliability through consulting, condition monitoring, and more. Allied Reliability utilizes a comprehensive approach to deliver sustainable productivity gains to your business. Our industry-leading practices and proven technologies optimize the health of your high-value assets, working in harmony with our consulting, education, and staffing services to enhance your operations. 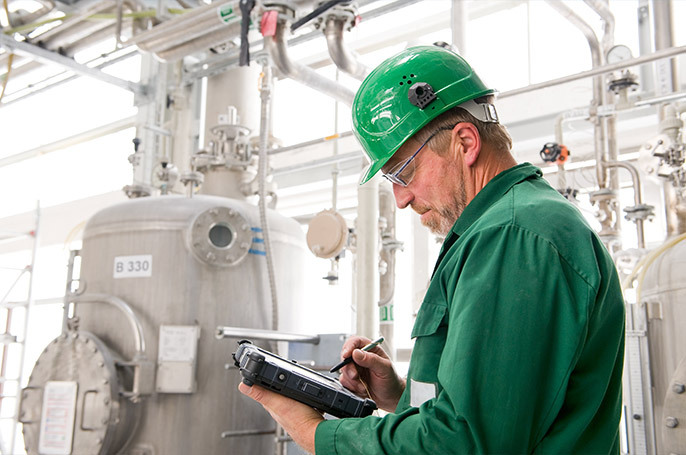 SmartCBM, Allied Reliability's condition-based maintenance solution with IIoT capabilities, delivers manufacturing productivity gains while making condition monitoring dramatically more cost effective. Enhanced productivity begins with having the right staff. We connect you with skilled people who are up to the challenge of increasing uptime and driving down costs. We provide hard-hitting, impactful training that addresses the specific needs of your employees, delivers value for your training dollars, and produces bottom-line results. Our products and services are designed to help maintenance and reliability professionals enhance productivity. Designed to complement our reliability solutions, our brands deliver products and services to meet your organization's needs. Our reliability solutions address the specific needs of customers across a spectrum of industries, enabling us to serve as partners and advocates. Ready to Begin Your Reliability Journey?